Suddenly my personal bibliography has quadrupled. I’m honored to have essays in two new collections. As if that’s not enough, I’m also thrilled to announce the publication of my own book at long last. 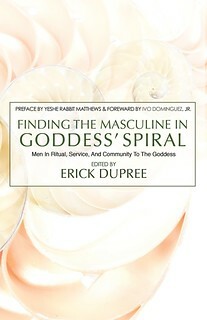 Finding the Masculine in Goddess’ Spiral, edited by Erick DuPree, came out from Megalithica Books in February. 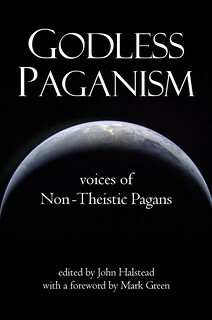 Godless Paganism, edited by John Halstead, is a crowdfunded effort that came out earlier this month. On the face of it, these two titles might seem contradictory. Goddess and godless? What a difference one letter makes! How can this be? Well, it’s complicated, but that’s what makes this subject matter so interesting. I encourage you to get both books and decide for yourself whether I’ve lost my mind. Get Finding the Masculine in Goddess’ Spiral via Amazon or direct from the publisher. Get Godless Paganism via Amazon or Lulu (paperback or ebook). Still with me? I hope so, because as exciting as those publications are, there’s more. It might seem like overkill, but it just so happens that I finally finished my own book, which I’ve been working on since 2012. 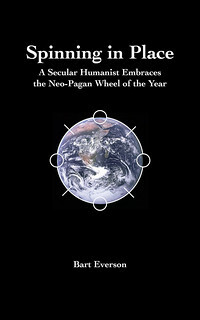 It’s titled Spinning in Place, and it’s about the Wheel of the Year. You know, the solstices and equinoxes and cross-quarter days I’ve been yammering on about for so long. Some of these essays have previously been published in various online venues, but I’ve revised extensively and there’s new material as well. It’s currently available exclusively through Amazon as an ebook. And it’s priced to sell. I don’t wanna make any money, folks; I just love to share Earth-based spiritual practices. Now it’s time to get the word out. I’ve got my author page set up on both Amazon and Goodreads. I’m available for interviews. I’ll be mounting a campaign on social media in the near future. And, yes, I could use your help. Please do share this link with anyone who might be interested. If you’re able to review any of these items on Goodreads or Amazon please do. And don’t be shy about being honest. No one is really fooled by those books that have nothing but gushy, glowing, five-star reviews.